Stacks arise naturally in moduli problems. This fact was brilliantly foreseen by Mumford in his wonderful paper about Picard groups of moduli problems a nd further amplified by Deligne and Mumford in their seminal work about the moduli space of stable curves . Even if the theory of stacks is somewhat technical due to the predominance of a functorial language, it is important to be able to use stacks without a complete knowledge of all intricacies of the theory. In these notes our aim is to explain the fundamental ideas about stacks in rather concrete terms. As we will try to demonstrate in these notes, the use of stacks is a powerful tool when dealing with curves, or covers, or more generally when we are trying to classify objects with non-trivial automorphisms, abelian varieties, vector bundles etc. 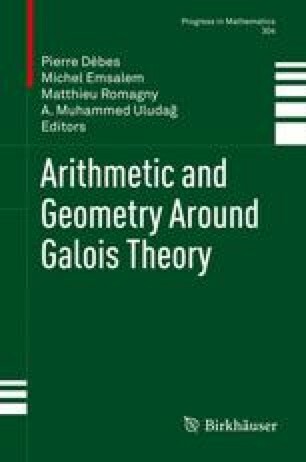 Many people think that stacks should be considered as basic objects of algebraic geometry, like schemes, and is an example of a convincing and heavy set of notes toward this goal. We hope to show how to use them in various concrete examples, especially the moduli stack of stable pointed curves of fixed genus g ≥ 2, with a view toward the moduli stack of covers between curves of fixed genera, the so-called Hurwitz stacks. Hurwitz stacks appear basically as correspondences between moduli stacks of pointed curves. Algebraic stack category covering cover curve elliptic curve groupoid Hurwitz node stack moduli space stack. Mathematics Subject Classification (2010). 14A20, 14H10, 14H30, 14H37.